Bright! Fresh! & move-in ready! 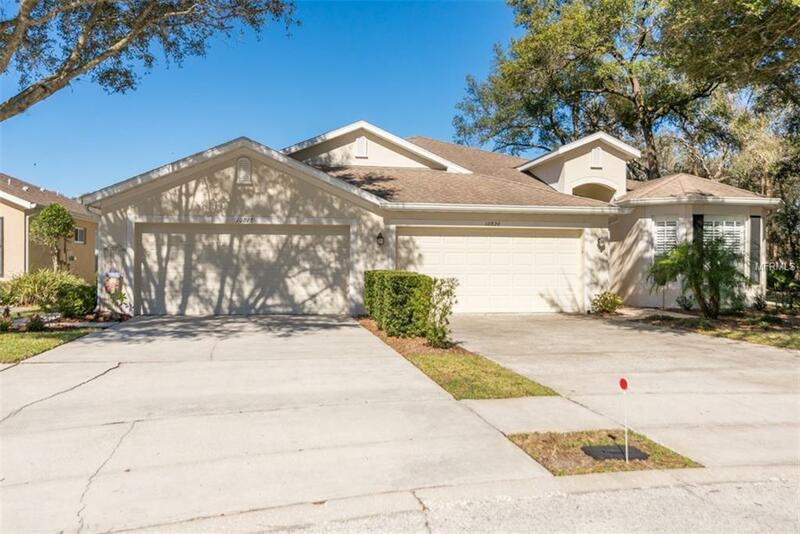 Welcome home to this lovely, updated & well maintained 2BR/2BA villa in Westmont Oaks, the much sought-after gated community located just walking distance to shopping and desirable Westchase amenities. Admire the drive down the tree-lined streets to your home secluded on a cul-de-sac. Step inside to appreciate the spacious & open floor plan. The freshly painted interior flows beautifully w/the brand new carpet throughout and neutral tile in wet areas. Sip coffee in the eat-kitchen or entertain guests in your open-concept kitchen at the breakfast bar--or in the adjacent dining room. The dining rooms location & size allows it to easily convert into an office. The airy great room gives you space to stretch out on the couch or cozy up w/a book in its adorable nook; all while enjoying the rear view through your double sliders. Appreciate privacy w/the master bedroom towards the rear of the home with its huge walk-in closet. The master bath has dual vanity sinks, ceramic tile, a spacious walk-in shower, and a generous linen closet. Along with a brand new privacy fence in back, this home offers a 2-car garage w/attic storage. You will relish being walking distance from schools, shopping, restaurants, and a big box store. Youre also close to hospitals, Veterans, beaches and downtown. The HOA takes care of the pool, roof, exterior lawn and painting. With tree lined streets, newer water heater (2015), NO CDD & a MAINTENANCE FREE lifestyle, its hard to say no to this amazing home! Listing provided courtesy of Real Living Casa Fina Realty.